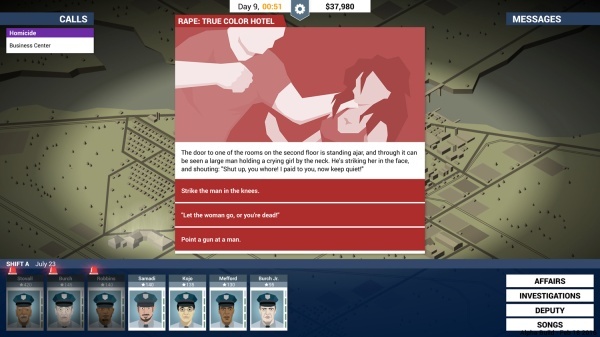 The gameplay in This is the Police basically consists of managing your police officers, which are split into two shifts and alternate between days. As calls come in for your officers to respond to, it is your duty to send out what you feel is the correct number of officers, as well as which officers will successfully respond to the call without any injuries or casualties. A majority of the calls you receive will be dealt with without your intervention, but some of them require your input on decisions that will end the situation in one of a few ways. For example, I had a situation where a domestic dispute was happening inside of a home and officers could hear yelling. I could choose between knocking on the door, breaking down the door or surrounding the house and yelling in. I found most, but not all, of these decisions to be fairly easy to choose the best answer. It seems that every question has a logically correct answer, a “risky, but could work answer” and a “obviously not going to work, but let’s see what happens” answer. I don’t think I had any of these events give me a decision that I didn’t immediately know the answer to. Not only are the best answers obvious, the decisions don’t really make a difference at all when it comes to the story, which really hurts the game. No matter what choices you make, the story follows the same path. It would have been much better if there were different storylines based on the decisions the player makes. The only thing that happens when you make a bad decision is that you can be fined money, which is used to hire more officers. In the end, this does make a little difference in how you play the game, but the “fines” are not that big, so it doesn’t affect your strategy too much. 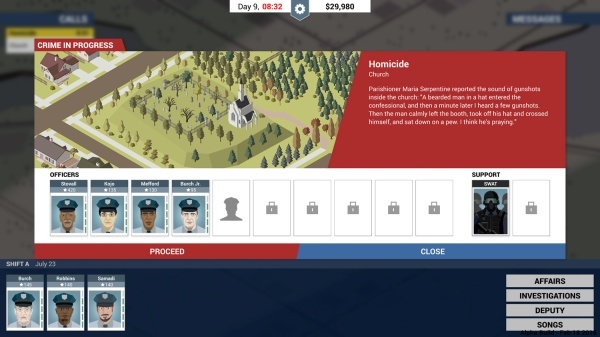 There is some strategy involved in This is the Police that helps keep the game interesting, such as hiring new officers and promoting current staff. 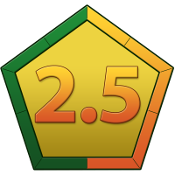 Each officer has a rating and a “stamina” bar of sort. The higher an officer’s rating, the more likely they will respond to a call without injury or casualties. Each incident call has a limit to the number of officers you can send, so choosing the best officer combination for each call adds a bit of strategy to the game as well. You don’t want to have your top officers out together on a call and have a high priority incident call come in, leaving you with only your lower rank officers to handle the call. Each day the officers’ stamina bar will drop and if they get too low the officer will not perform as well as normal and will need a day or two off in order to restore their stamina. Sometimes officers will request random days off, with various reasons. It is your job to approve or deny these days off and, depending on your answer, the officer may get upset and not perform well because of it. These are the only decisions that I found made a big difference in gameplay. 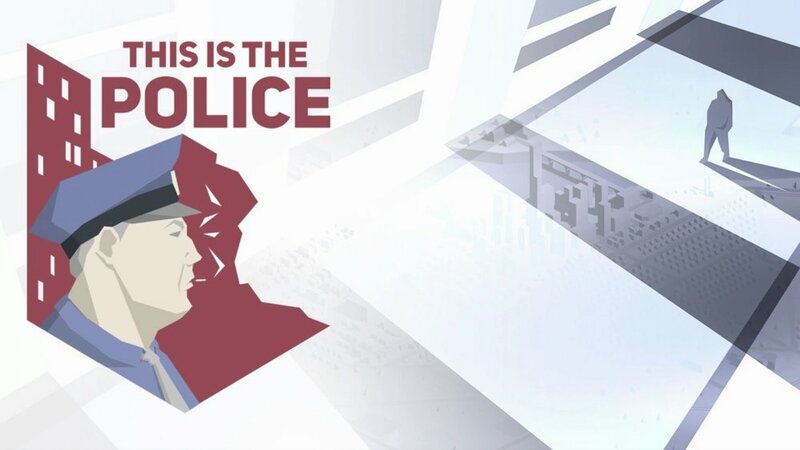 This is the Police has a good concept and the story is actually pretty good, even though your decisions do not change it at all, but the non-branching storyline and repetitiveness are pretty big downfalls. At the $29.99 price point, I would wait and give the game a look when it’s on sale. Thank you to Weappy Studio for a review copy on the Nintendo Switch.